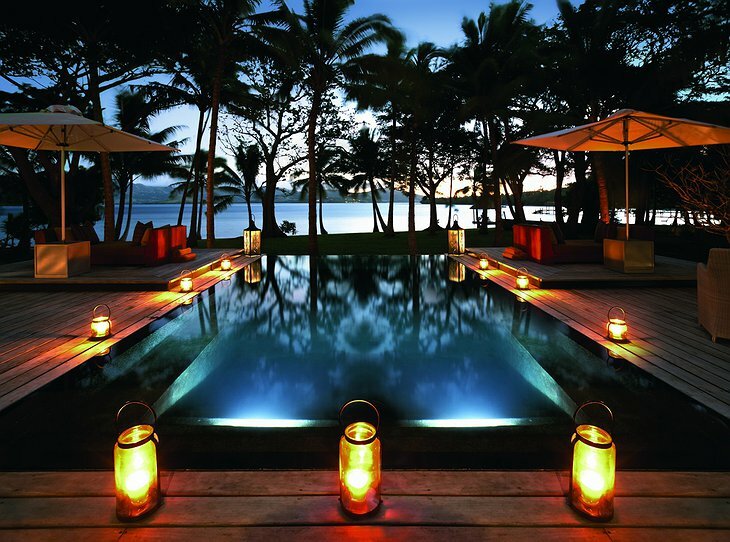 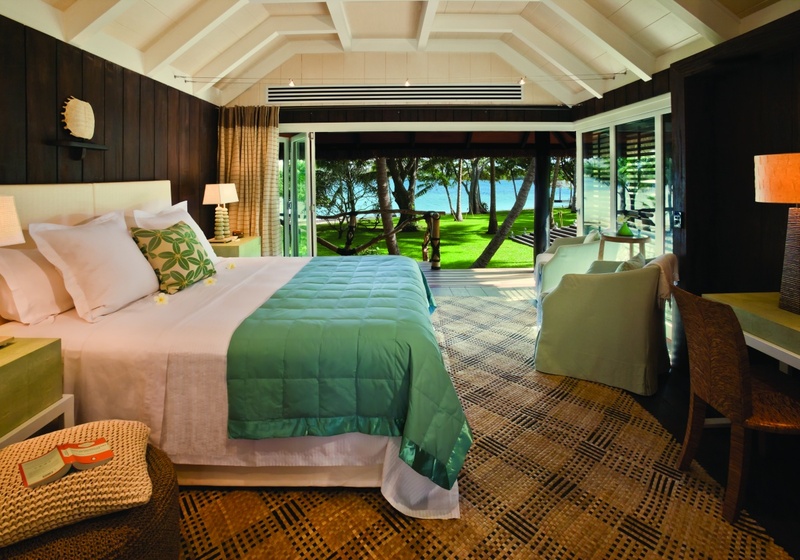 A private retreat in the South Pacific’s Fiji Islands, Dolphin Island Huka Retreats offers four rooms with accommodations for just eight guests at a time to enjoy the ultimate peace and serenity that comes with island life. 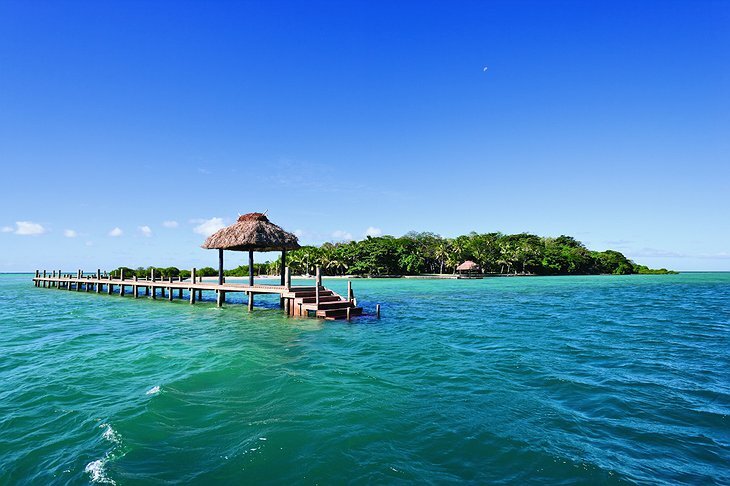 With 14-acres to enjoy, guests can enjoy a plethora of activities from diving and kayaking, to sailing and fishing in the crystal-blue waters surrounding this oasis. 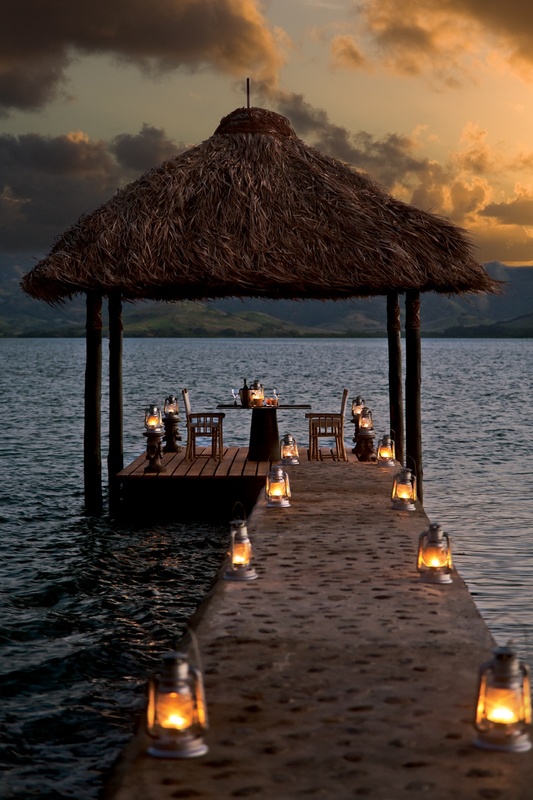 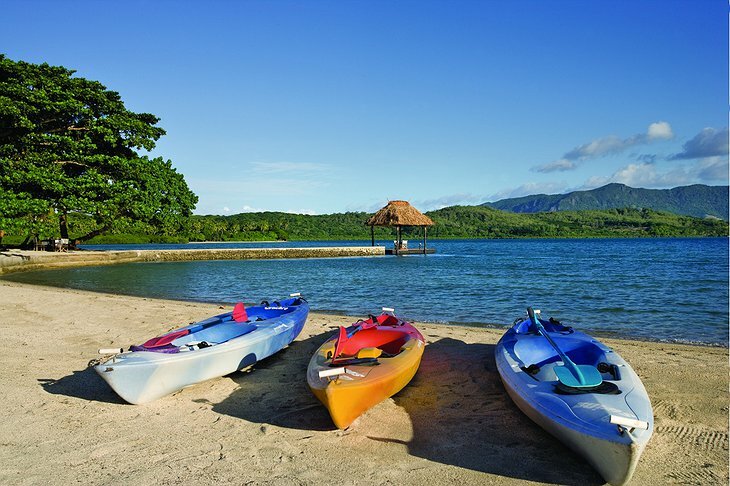 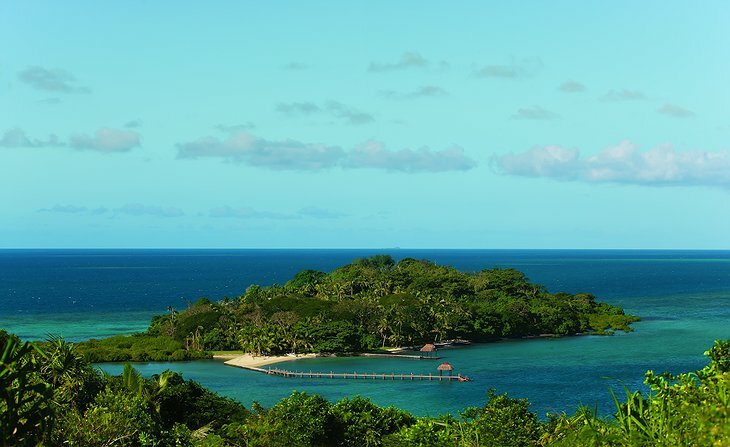 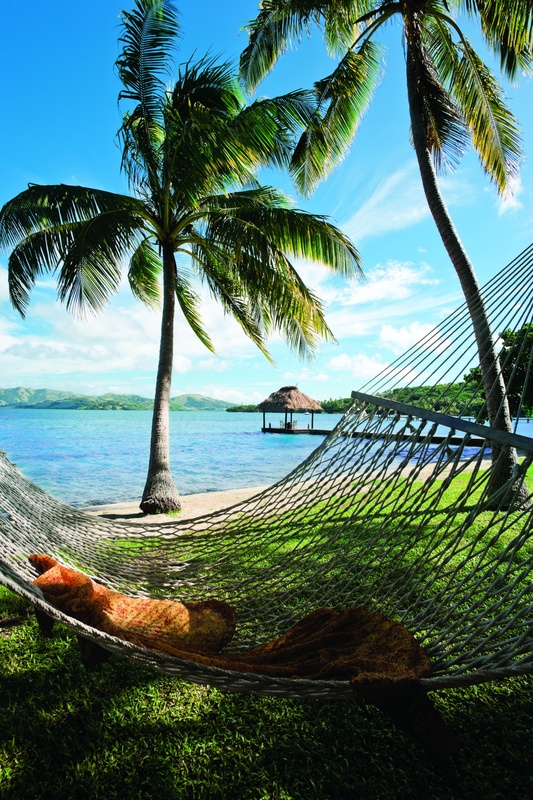 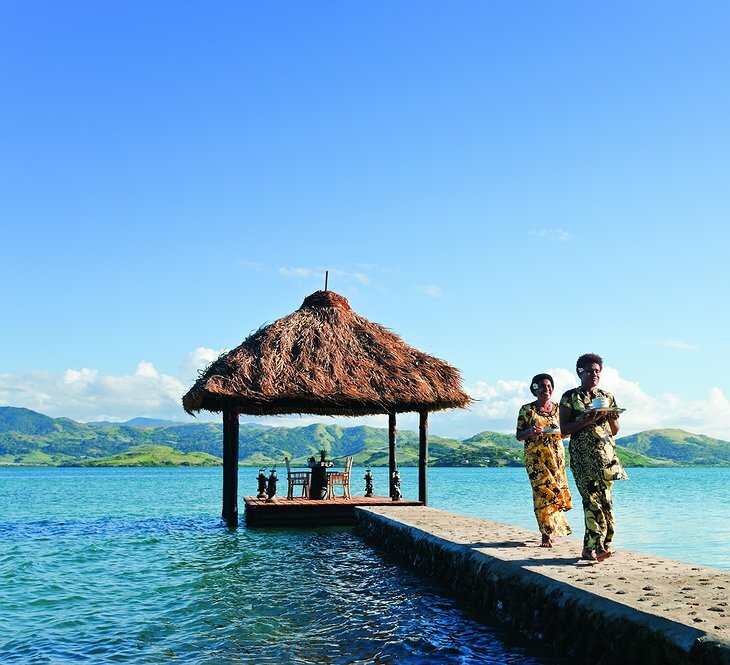 Just 20 minutes by boat from the main shore of Viti Levu, guests will arrive via the island’s private boat to their accommodations on Dolphin Island. 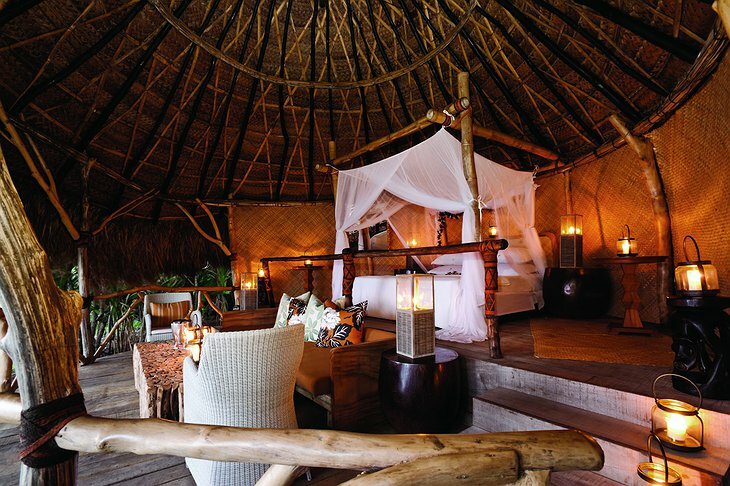 Guests looking for a truly unique experience can opt to stay in the Hilltop Sleep-out Bure, a thatched open-air bedroom which faces the sea and is lit by lanterns and candles. 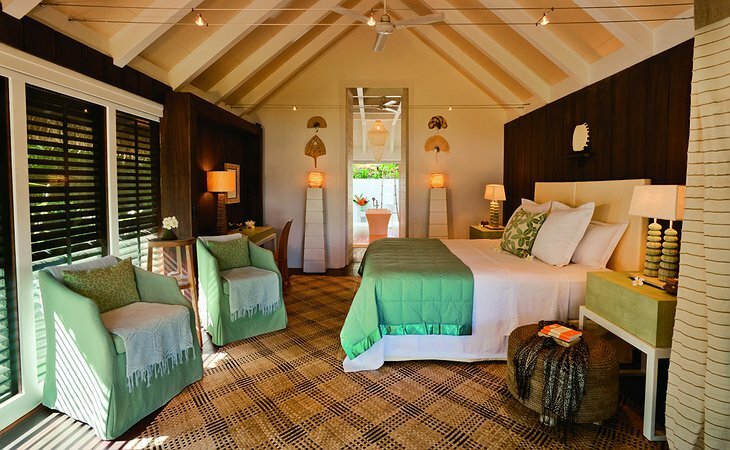 The interiors of the Huka were designed by award-winning Kiwi decorator Virginia Fisher, known for her crisp lines and luxurious style. 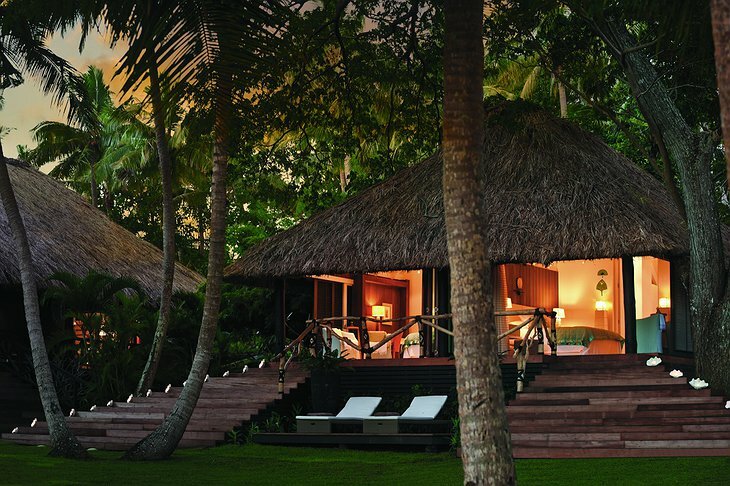 With no other restaurants or bars on the island, Dawn Simpson, the host of the retreat, has got you covered. She cooks up meals using locally sourced, fresh fish and produce; guests can choose to eat when and where they like, from the terrace or pool area to the eight-seater table at the back of the Main Bure. 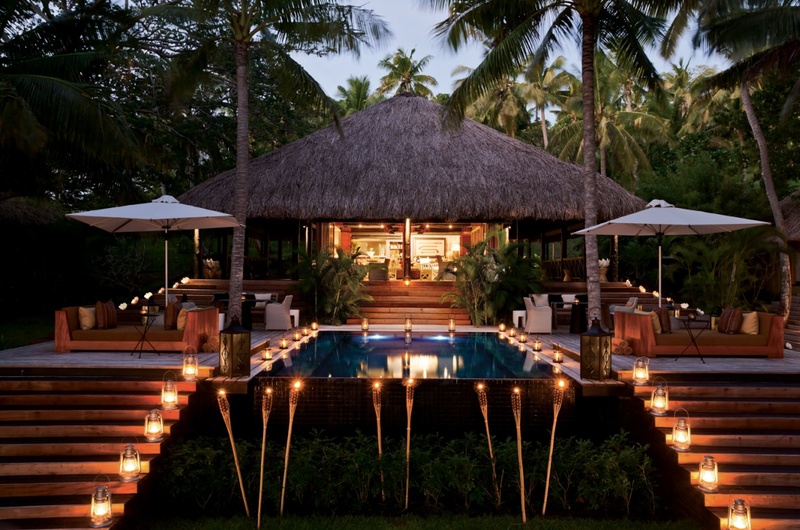 Grab a drink at the Main Bure counter bar or enjoy your cocktail outside while taking in the spectacular views.